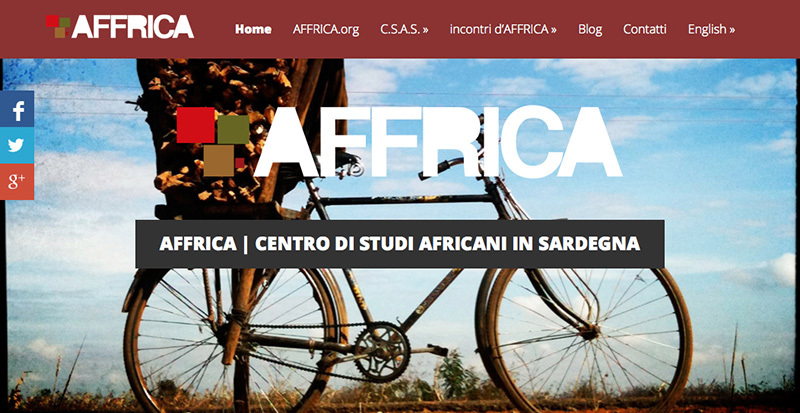 Affrica – Centro di Studi Africani in Sardegna (CSAS) was founded in 2005 with the main objective of supporting and disseminating African history and culture. Founded on the initiative of Professor Bianca Carcangiu, the current president, CSAS is an ideal continuation of the activities of the “Istituto di Studi Africani e Orientali” at the then Faculty of Political Sciences in Cagliari. Over the years, CSAS has organized conferences, seminars, workshops, roundtables, a summer school, and has promoted scientific research through projects and publications. In particular, in 2011 CSAS launched the book series Nova Collectanea Africana, dedicated to the study of minorities in Africa. Dialogue among CSAS members is also at the foundation of the project AFFRICA.org – which has a more popular, less academic, approach to the African continent. Since 2012, CSAS is part of AEGIS, the leading European network for African Studies, which brings together some of the most prestigious research centres in the field. CSAS is a non-profit organisation registered as voluntary association of the “Regione Autonoma della Sardegna”.